Copyright © Jay Vonderhey - This image is copyrighted. Unauthorized reproduction prohibited. Glossy dark brown and gemmy smoky quartz crystals collected loose in decayed granite at the Middle Moat Mt. locality in 1994. 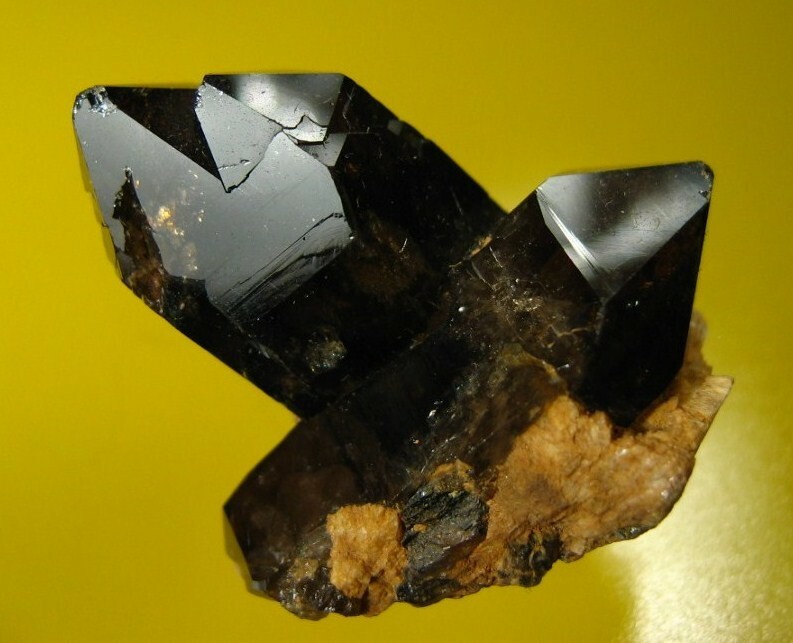 The largest crystal measures 4cm in longest dimension.